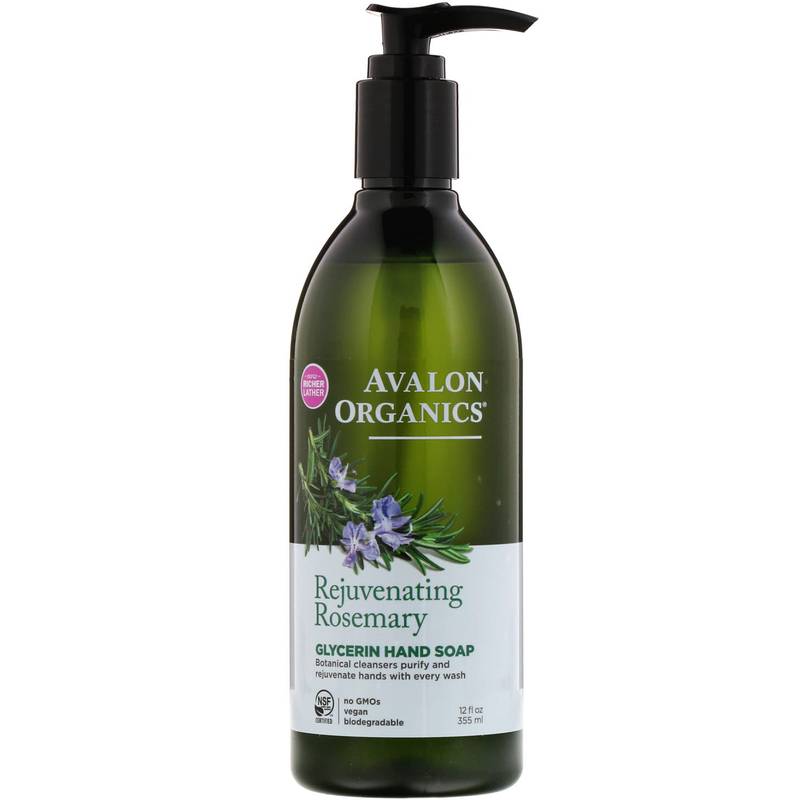 A hardworking blend of botanical cleansers, Rosemary Essential Oil, Quinoa Protein and Vitamin E, known for their moisturizing and purifying properties, cleanse and rejuvenate hands with every wash. Gentle enough for frequent hand washing. To Use: Working into a rich, moisturizing lather and rinsing will provide hands with a complete clean. Aloe barbadensis leaf juice (1), coco-glucoside, water (aqua), sodium coco-sulfate, decyl glucoside, sorbitol, glyceryl oleate, cedrus atlantica bark oil, citrus aurantium dulcis (orange) peel oil, citrus limon (lemon) peel oil, copaifera officinalis (balsam copaiba) resin, coriandrum sativum (coriander) fruit oil, geranium maculatum oil, lavandula angustifolia (lavender) oil, pogostemon cablin oil, rosmarinus officinalis (rosemary) leaf oil, calendula officinalis flower extract (1), chamomilla recutita (matricaria) flower extract (1), chenopodium quinoa seed (1), dioscorea villosa (wild yam) root extract (1), lavandula angustifolia (lavender) flower/leaf/stem extract (1), rosmarinus officinalis (rosemary) leaf extract (1), styrax benzoin resin extract, tocopheryl acetate, bisabolol, citric acid, glycerin (1), sodium sulfate, alcohol (1), benzyl alcohol, potassium sorbate, sodium benzoate, limonene, linalool. 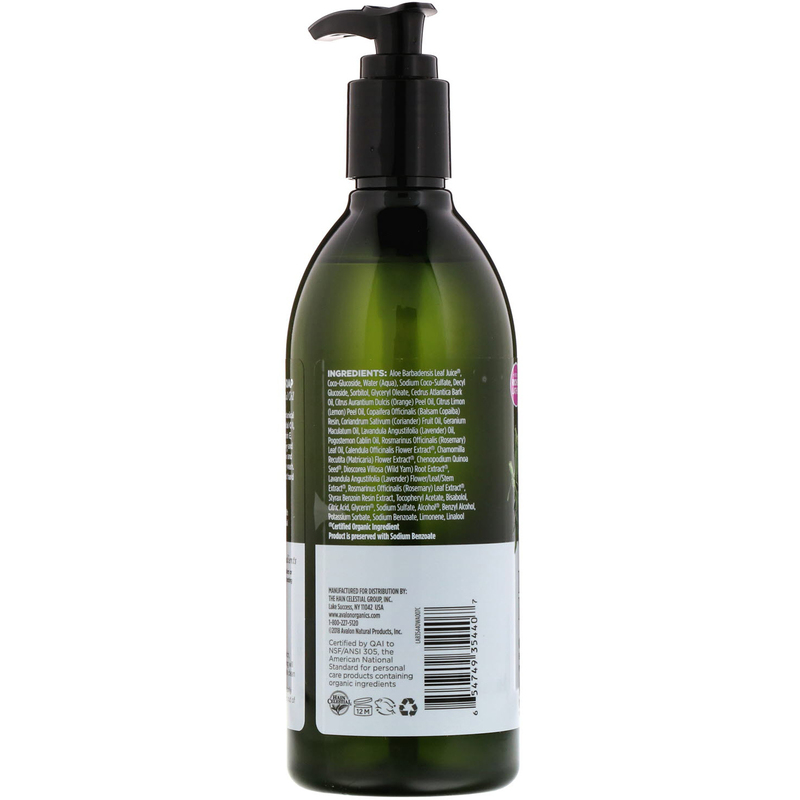 No GMOs, parabens, synthetic color or fragrances, phthalates or animal testing.